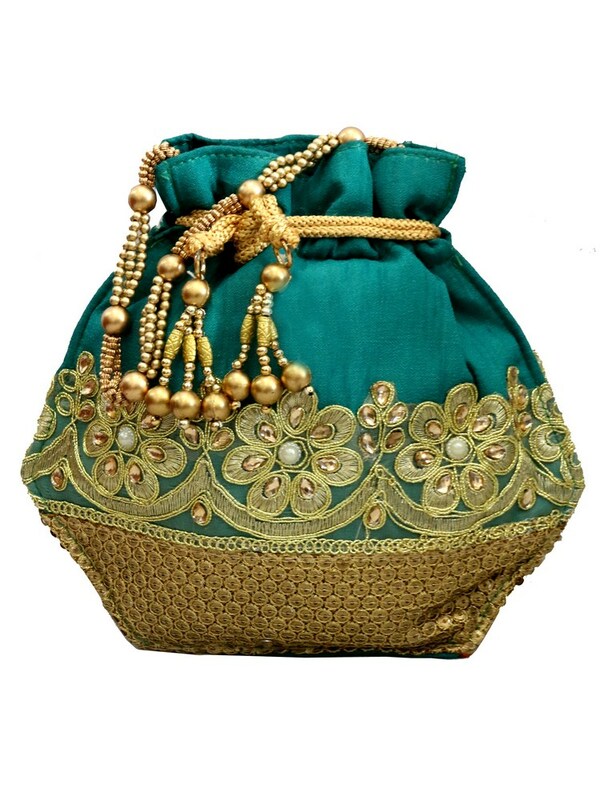 This elegant potli bag is an epitome of style and fashion. With silky soft fabric and golden floral embroidery, the style just gets enhanced to Read More..another extreme. The potli bag has a golden thread tied at the head making it look absolutely stunning. This handcrafted potli can be an intelligent gift for ladies. Show Less..